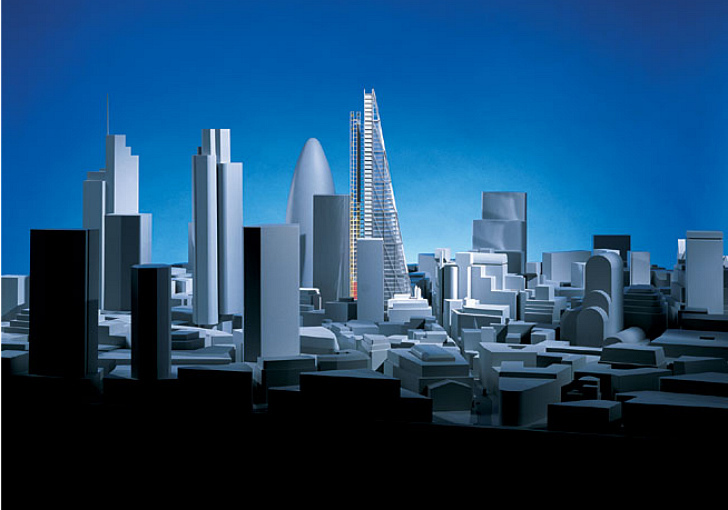 <a href="http://www.richardrogers.co.uk/render.aspx?siteID=1&amp;navIDs=1,4,25,361,366" target="_blank">Rogers Stirk Harbour + Partners</a>' 50-story <a href="https://inhabitat.com/work-set-to-resume-on-londons-energy-efficient-cheese-grater-building/" target="_blank">Leadenhall Building</a> just reached its full height yesterday, making it the tallest tower in the City of London! 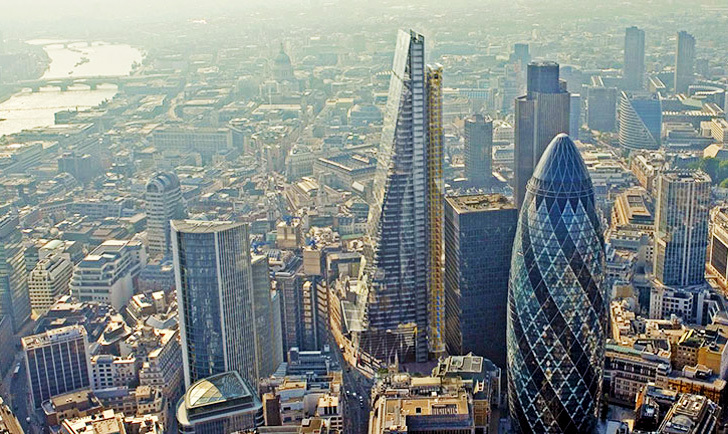 Dubbed “the Cheesegrater” for its asymmetric shape, the building is setting records for <a href="https://inhabitat.com/gherkin-gets-a-green-roof/" target="_blank">high-rise</a> construction, most notably for the fact that 85% of the structure was prefabricated off-site. 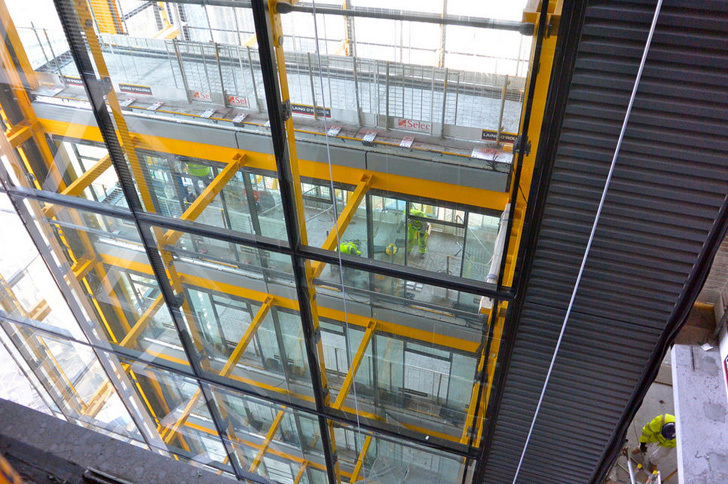 Half of the curtain walling of “the Cheesegrater” tower is now complete. 51% already pre-let to companies Aon and Amlin. 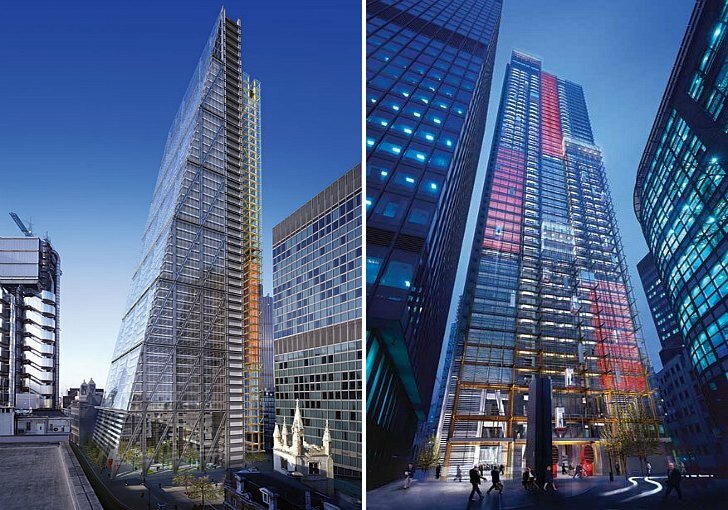 The Leadenhall Building is owned by British Land and Oxford Properties and is the first UK project for Chinese curtain wall contractor Yuanda and the first major high rise in the UK for Laing O’Rourke. The design includes a structural steel frame that supports the floors and holds utilities and services. 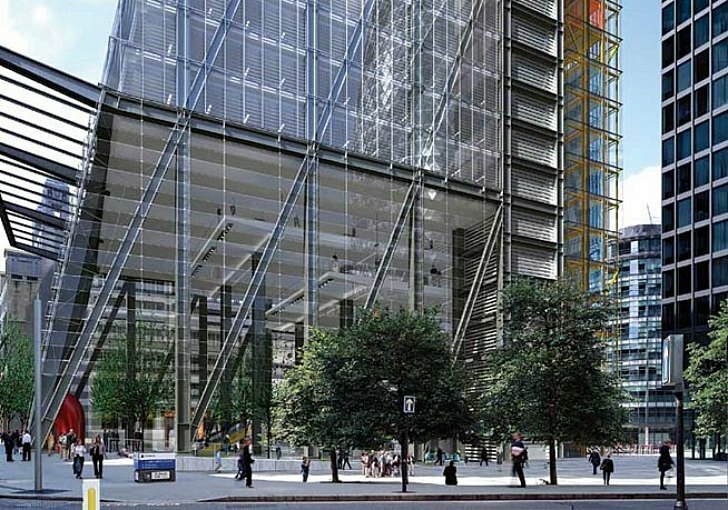 It encloses the fire-fighting cores that serve the office floors and visually anchors the building to the ground. 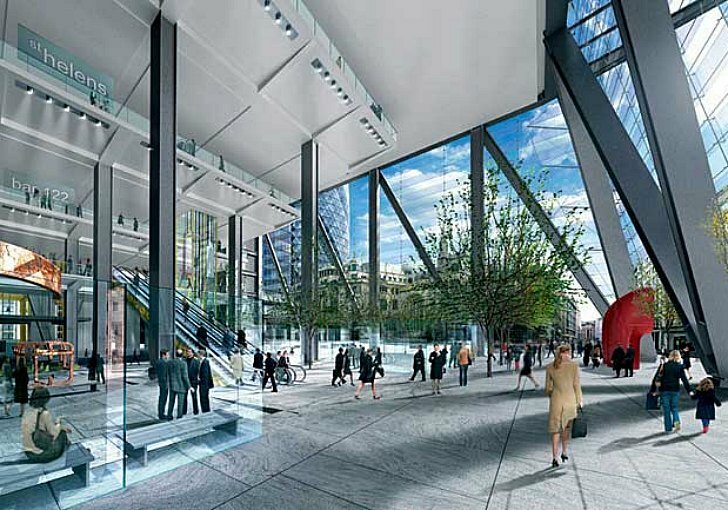 The northern support core is conceived as a detached tower containing all passenger and goods lifts, service risers, on-floor plant and WCs. The double-glazed façade incorporated the structural frame, vents and controlled blinds that adjust to limit unwanted solar gain and glare. 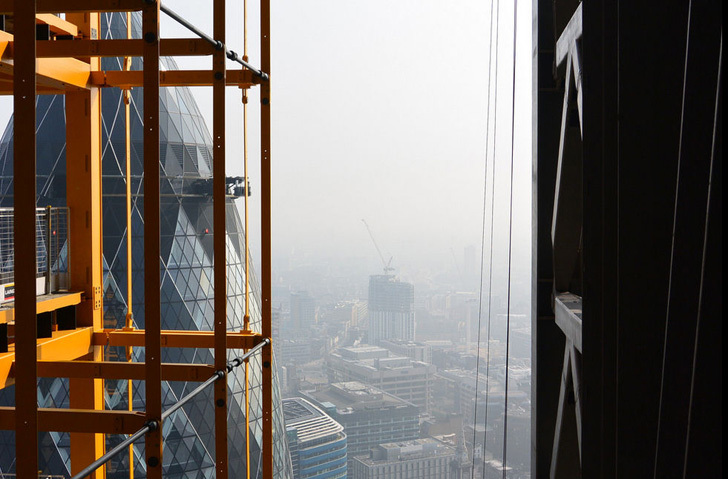 Rogers Stirk Harbour + Partners' 50-story Leadenhall Building just reached its full height yesterday, making it the tallest tower in the City of London! 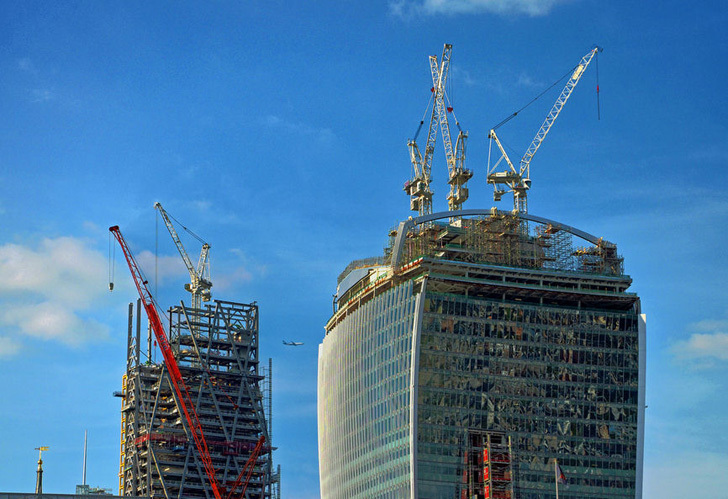 Dubbed “the Cheesegrater” for its asymmetric shape, the building is setting records for high-rise construction, most notably for the fact that 85% of the structure was prefabricated off-site.